As a Home buyer, you want to ensure your home purchase is secure. We get it. Your new home purchase is probably one of the biggest financial decisions of your life. It is for most people. Furthermore, everything you love and cherish will be living inside of it, so it must be right. Now you can buy a home worry-free when they have it inspected by a participating InterNACHI member. 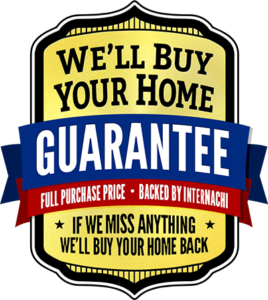 If you’re not happy within the first 90 days after buying it, InterNACHI will buy back the home at full price.